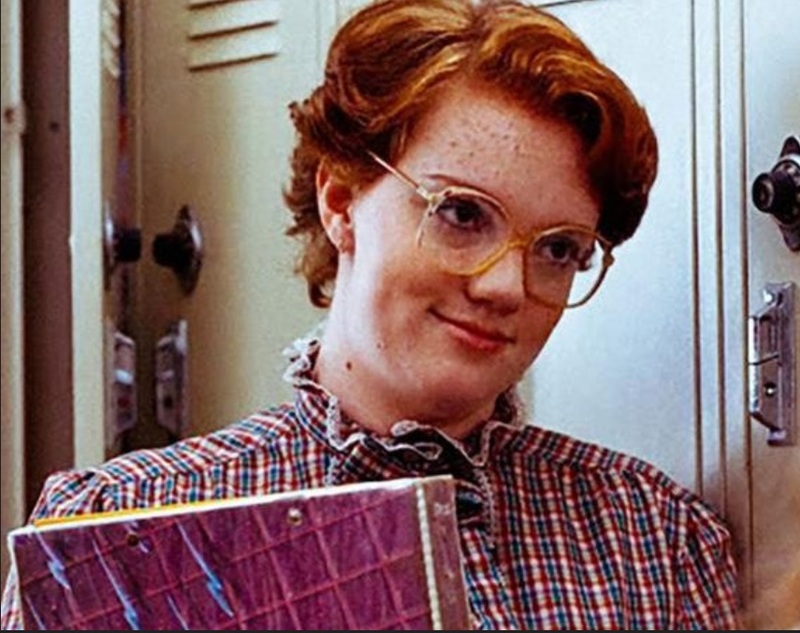 If you — like us — have been sucked into the delightfully retro world of Netflix’s new original sci-fi/horror series, Stranger Things, then you know that lovably dorky, high-school student Barb, played by Shannon Purser, is an inimitable ’80s style icon. Her uniform — oversized translucent glasses, Victorian-esque high-necked tops, mom jeans—is one that incurs awe and admiration. She just rocks it so well. Add in her pastel plastic wristwatch and lightning bolt-covered Trapper Keeper, and her look becomes truly evocative of that era. It turns out we’re not the only ones that think so. Today’s thing-that-we-never-knew-we-needed-but-now-have-to-have is the Barb doll — yes, essentially the slightly nerdy version of blond, leggy Barbie. Compared to her pink car-driving, Malibu-living counterpart, we’d rather play Dungeons and Dragons with Barb any day. From her curly red hair and freckles right down to her outfit—it’s perfect. Now THIS is the doll we all wish we grew up with.